Say goodbye to rose gold, shiplap and stainless steel! 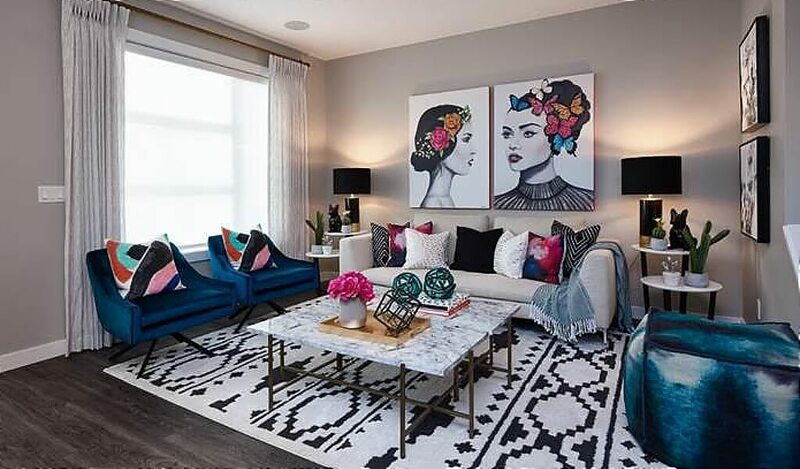 Get ready for a whole new set of bold palettes and textures, because 2019 is bringing an exciting array of stylish ideas to transform your space. 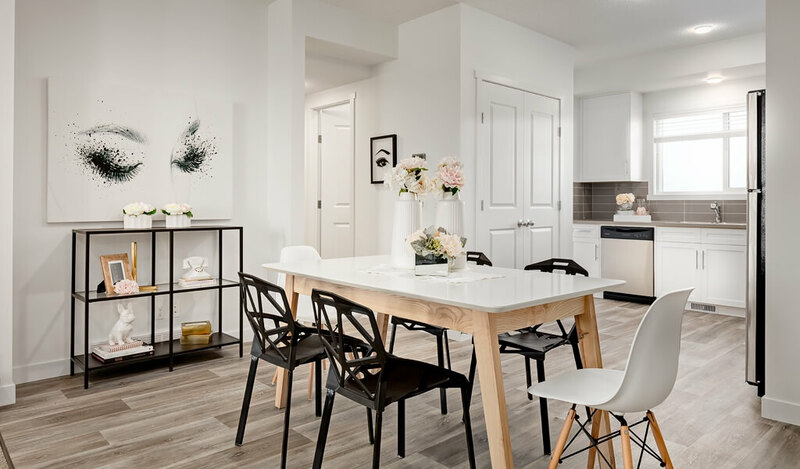 Whether you’re moving into your first home, are a new University District resident, or simply redecorating a room, a little expert advice goes a long way. 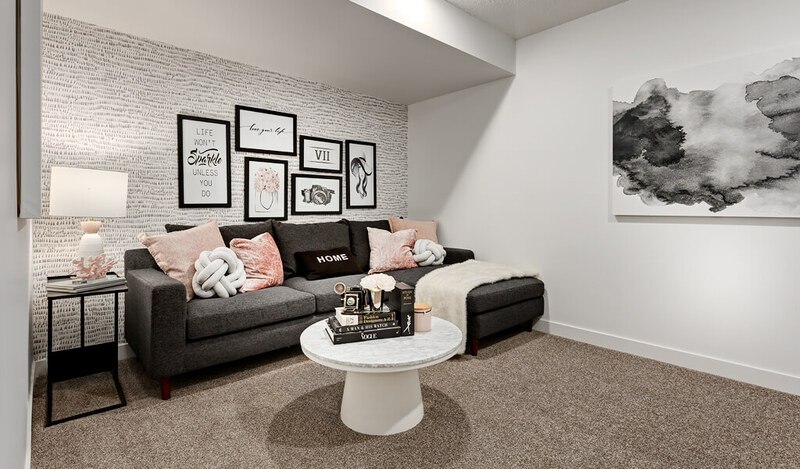 We caught up with Chloe Leung and Jennifer Madsen, resident interior designers with U/D builder partners Brookfield Residential and Avi Urban, to get the scoop on emerging design styles, up-and-coming materials and how you can get the look! Our homes are a reflection of ourselves. It’s where we eat, sleep, relax, and even work. So shouldn’t we give it the tender loving care it deserves? Let’s get inspired and take a look at Chloe and Jennifer’s design tips and recommendations. Our partnership with Brookfield Residential runs deep. Capella is Brookfield’s newest addition to U/D’s housing line up and is the next big thing on the home front. 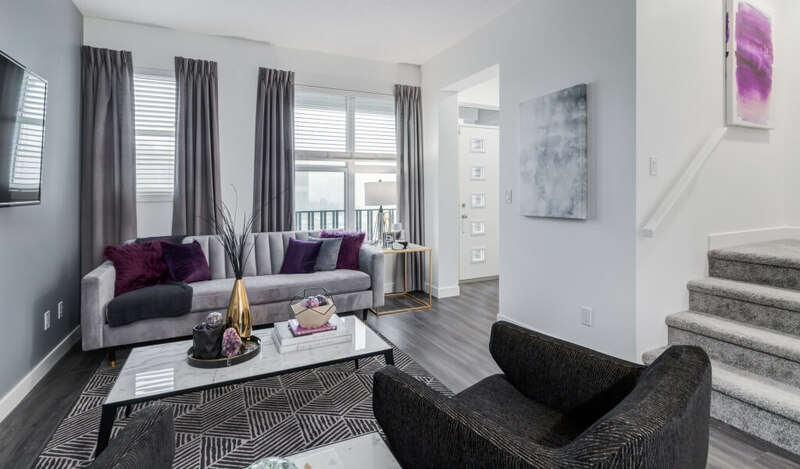 Drawing inspiration from southern California, Capella features a collection of contemporary condos and a luxurious selection of single-level residences. Curious to learn more about Capella? Take a look here! Jennifer – Boho with a modern twist and curved lines is all you need. This year we’ll see more patterned fabrics that are cleaner and brighter, curved furnishings for sofas and chairs, and a mix of modern and retro styles to add a sense of whimsical character to interiors. Key Colours: Bold and deep colours like indigo, hunter, emerald green and dark teal. Key Materials: Less macramé and more handmade pieces made from rice paper. Layered rugs, vintage furnishings, beaded fabrics, clay as art and patterned bowls for textures. Whether you’re ready to channel your inner bohemian spirit fully, or are looking to dabble with the casual chic appeal, start introducing elements of boho little by little so it looks and feels effortless. Want to personalize it a little bit more? Create your own clay art piece or patterned bowl at the the Creekside NW location of Colour Me Mine. Chloe – Black chic is making a comeback in all its sleek, dark stylishness. When paired with metal accessories and bold patterns, the result can make quite the statement. From black granite countertops and hearths to single-hue accessories. Monochromatic interiors are adding allure and sparkle and will be used boldly in design schemes this year. Key Colours: Dark on dark colours such as black on black. Key Materials: Rich, dark décor items like toss cushions, window treatments and lamp shades, and single hue art prints and furniture patterns. 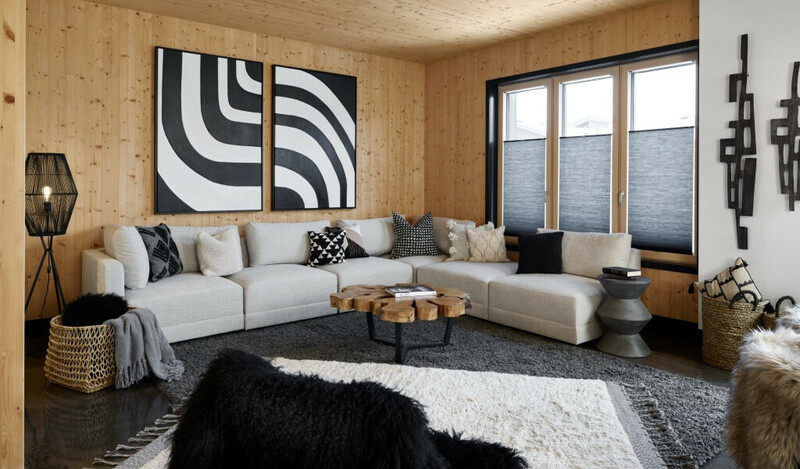 We completely understand –– bold patterns and dark colours can be intimidating but at U/D, we encourage you to explore new concepts that might be a little outside the box. If there’s something in particular you’re drawn to, bring a picture to Metro Element in Kensington for some guidance on where to start. A little testing here and there goes a long way! Jennifer – Deep, saturated jewel tones with an edge are in! Living rooms, kitchens and bedrooms are being layered with lush hues of paint, fabrics, accessories and rugs, adding life and energy to living spaces. This trend was hot 2018 and is showing no signs of slowing down this year! Key Colours: Gold, silver and jewel tones like ruby, amethyst and sapphire. Key Materials: Bold rug, mixed metal décor pieces like metallic wall art, vases, picture frames, light fixtures and toss cushions. You never know where you might find the perfect gem that will best accent your jeweled-luxe living space. Whether it’s during a regular shopping trip to the mall, or a visit to a NW antique store like Honey B’s, keep your eyes open for something that you feel will complete the look. Chloe – Minimalism isn’t just a cool ultramodern space. It’s a concept that showcases functional, pared-down design that exemplifies simplicity at its best. Clean lines and multi-purpose furnishings are synonymous with minimalism. As more people gravitate to urban living, the need for smart furnishings that are petite in scale and adaptable to different spaces is more important than ever, making this a welcomed trend that is making a big splash in 2019. Key Colours: 90% white with pops of grey or colour in small doses. 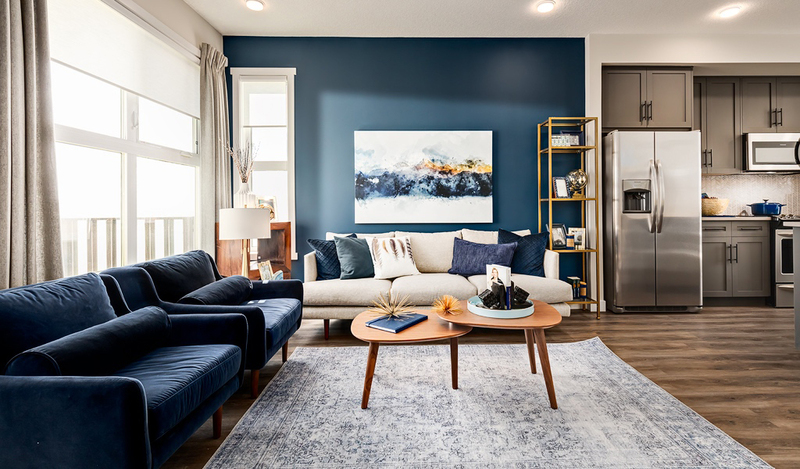 Key Materials: Acrylic coffee tables, light wood floors, neutral walls and accent pieces like a coloured knotted throw. Living at U/D is all about functionality and living the best comfortable life possible, so maximize it wherever you can! Naturally, it really depends on what your preferences are and your lifestyle, but we find that minimalism also requires great storage. To keep clutter-free and clean-cut, find furniture that does double duty like a beautiful leather bench that features compartments and transforms into a coffee table. 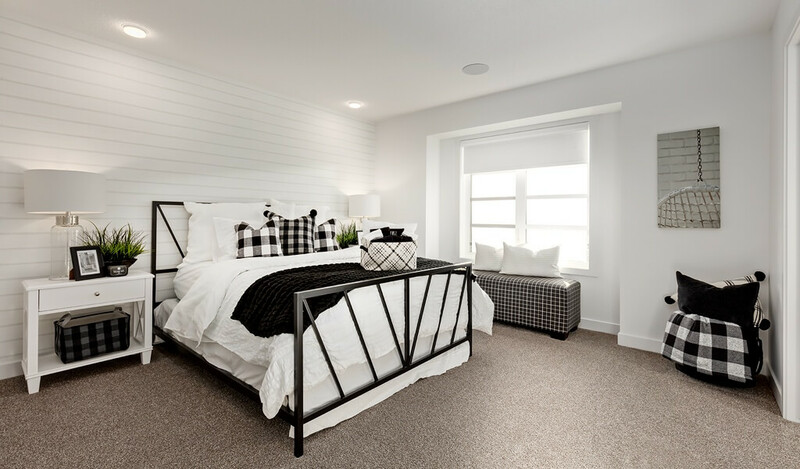 Take a look at nearby Urban Barn in Crowfoot for some minimalistic ideas. Jennifer – We’re seeing a growing desire for nature inspired interiors this year. The beauty of wood is its ability to create lighter, airier spaces that are welcoming and calming. From dusty floral tones and exposed brick walls to rusty-red throw pillows. These earthy tones will make your home feel like the great outdoors! Chloe – Mellow hues and powdery shades like iced coffee, peach and burnt orange represent the fresh palette for 2019. These new neutrals teamed with accents of exposed wood and plant life, embrace the beauty and bounty of nature. Brass, marble and especially natural wood enhance these tones, bringing a sense of warmth and peacefulness to our homes. Key Colours: Muted and flat colours like greige, browns, tans, orange, red, yellow and green. Key Materials: Natural wood furniture like a tree stump for an end table, living plants for colour and warmth and brass, wood or marble accent pieces. Looking for custom-made wooden furniture to bring the outdoors, in? Calgary has a number of custom furniture designers who use local product sustainably and can build you some beautiful pieces to pull your vision together. Consider local artists and designers such as Joseph Carlyle Designs, located a stone’s-throw away from U/D and features beautiful, artistic and high quality creations. It’s hard to resist the allure of the outdoors, especially as spring approaches. No matter what kind of space you’re working with, it’s easy to bring the indoors outdoors with these 5 interior design tips that will have you living large on your urban balcony. Accessories and accent pieces are the jewellery of interior design. From an antique silver bowl or cherished seashells from that memorable beach vacation to a vintage trunk full of family trinkets and treasures. These decorative pieces bring charm, character, and a touch of “you” to your living space. Choosing the right accents can be a challenge, but a few tips from Chloe and Jennifer can help. The best interiors are those that reflect you and your lifestyle. 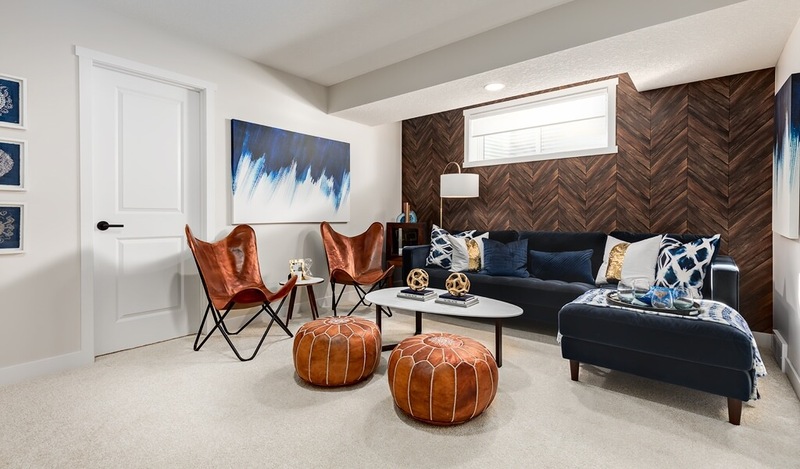 Instead of following what’s most fashionable, trawl the trends for what you love and invest in timeless accent pieces that fit your personal style. 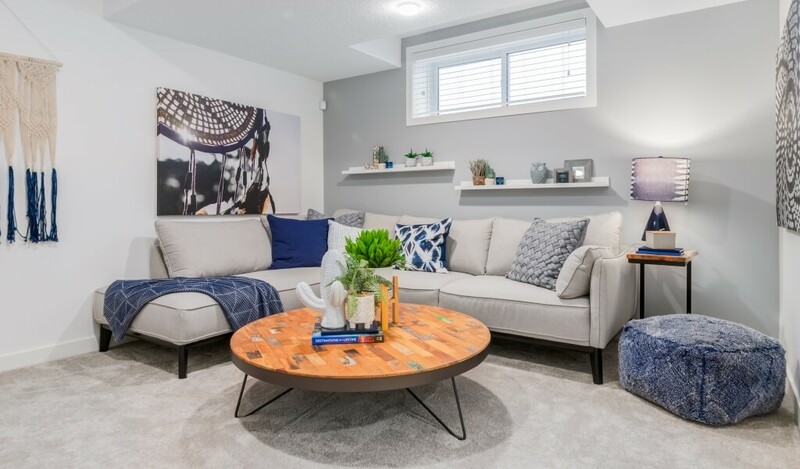 Whether it is living room seating, bedrooms, or kitchen nooks, adding a toss cushion or throw will bring out the subtle design features of a space. Play with proportion and shape to keep the aesthetic warm and playful. Mix and match styles and prints to elevate guests’ intrigue and keep their eyes engaged. Drapery is often an overlooked design decision but it can alter the ambiance of an interior dramatically by adding texture, fullness and a whimsical pop of colour to a space. It demands little effort and is easy on your pocket as well! Colour can transform an interior entirely, creating a fresh and uplifting atmosphere. Whether committing to a single colour palette or blend of hues, start small. Add a floral toss cushion, or bold lampshade, or consider a patterned rug. Adding colour slowly will make the change seem less daunting. Your space is your own sanctuary and decorating it is a very personal experience and adventure as you take the time to find what fits your style. Test the waters since it is 2019 – take some risks, find some inspiration, and just get creative! Have a design of décor trend or tip that we missed from the list? Share your inspiring ideas, accents or décor tips with us and the community on Facebook, Instagram and Twitter. Comments are moderated before being posted. Your email address is required but will not be published. Join our email list for more information and our newsletter. The Downsizing Movement. Is it Right For You? Looking for something to do in NW Calgary? The University District blog is a resource for Calgarians who want to live, work, play, visit or buy in the northwest. We will provide you with information, stories, news and inspiration about the things that matter so you can live a more inspired, active and connected life in NW Calgary at University District… Life works here.